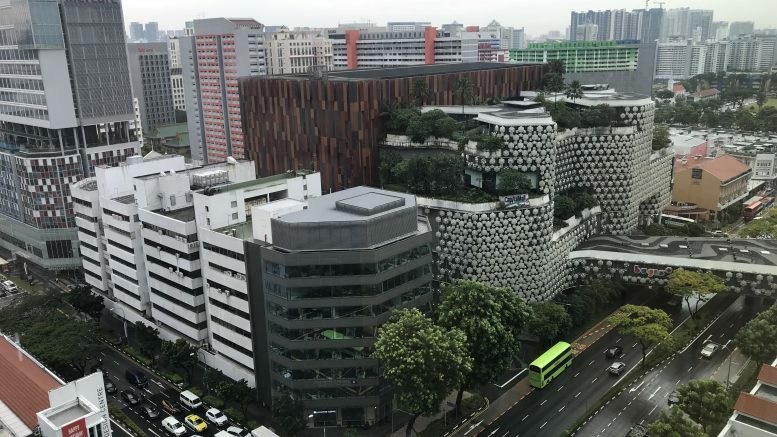 Singapore’s Bugis neighborhood with CapitaLand Mall Trust building. This article was originally published on Monday, 11 February 2019 at 22:28 SGT; it has since been updated to add Mapletree Industrial Trust and Valuetronics and to update Hyflux. Valuetronics reported its fiscal third quarter net profit rose 2.6 percent to HK$59.7 million (S$10.35 million or US$7.61 million) as a decline in consumer electronics (CE) revenue was offset by an increase in revenue from industrial and commercial electronics (ICE) revenue. Konnectivity, the special purpose vehicle set up by Keppel Corp. and Singapore Press Holdings (SPH) to bid for M1, said on Monday that Vincent Ko Woan Chun, who is a director at Keppel Telecommunications & Transportation, sold 14,000 M1 shares in September. He sold 7,000 on 21 September at S$1.65 each, below the S$2.06 bid price, and sold an additional 7,000 at S$2.11 each on 28 September, it said in a filing to SGX after the market close on Monday. Konnectivity announced its bid for M1 on 27 September. The Securities Industry Council has ruled the share sales on 28 September will be disregarded for the purposes of rule 11.2 of the takeover code, which only allows limited circumstances for offerers and persons acting in concert to sell shares during the offer period, according to the filing. Read more about M1 . Hyflux confirmed on Monday that it received a letter from the Securities Investors Association Singapore (SIAS) containing stakeholder questions and said the board was preparing responses. It added they would be published as soon as possible on the company’s website. SIAS reportedly sent more than 40 questions to Hyflux, including questions on why CEO Olivia Lum wouldn’t be contributing her more than S$60 million in dividends from the company in 2017 toward the restructuring process. The investor watchdog also reportedly questioned why Hyflux continued to pay dividends despite reporting negative operating cash flow for every year since 2009. In a separate filing late on Monday, Hyflux said it extended the deadline for filing proof of claims to the close of business on 1 March. Holders of its notes, perpetual securities and preference shares who don’t file a proof will be deemed to have allowed the company to file one on their behalf based on holdings in the Central Depository Pte. (CDP) records, it said. Fraser and Neave reported on Monday that its fiscal first quarter net profit rose 47.5 percent on-year to S$37.95 million amid higher contributions from the dairies operations. Accordia Golf Trust said on Monday that it had 393,837 players on its 89 golf courses in January, up 18.4 percent on-year, while the utilization rate was 68.1 percent, up 4.3 percentage points on-year. For the April-to-January period, its courses saw 4.89 million players, down 1.0 percent on-year, it said in a filing to SGX after the market close on Monday. Read more: Accordia Golf Trust. Propnex said on Monday that it appointed Cheong Yew Meng, age 54, as chief financial officer. Cheong was chief financial officer at Aoxin Q&M Dental Group from June 2017 through this month, it said. Prior to that, he was group finance controller at HSL Constructor and group financial controller at Rotary Engineering, the company said in a filing to SGX after the market close on Monday.